REC Congratulations to Andrew, Emma and Tom! Compass Associates are proud to announce that Consultants Andrew Starmer-Allen of Cosmetics & Aesthetics, Emma Alexander of Children’s Specialist Services and Tom Sims of our Care Home division have all passed their Level 3 Certificate in Recruitment Practice awarded by the Recruitment and Employment Confederation (REC) and are now full members of the Institute of Recruitment Professionals (IRP). 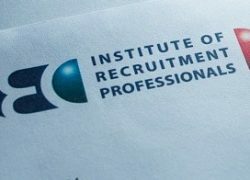 Membership of the IRP demonstrates commitment and professionalism to best practice and world-class recruitment standards and all Compass Associates’ consultants are encouraged to study for the Certificate in Recruitment Practice as part of their career progression within the company. Compass Associates were delighted to attend and sponsor the 20th Hallmark Care Home Awards 2017 on Friday 15th September at the fantastic Beaumont Estate in Old Windsor in Berkshire. The Hallmark Care Home Awards 2017 were attended by over 200 members of staff from their 15 care homes across country to celebrate achievement from all areas of the business. 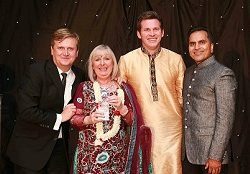 This year, to celebrate the 20th anniversary of Hallmark, the awards had a “Bollywood” theme with guests invited to dress in traditional Indian costume and treated to a traditional Indian feast of a selection of curries. Compass Associates were proud sponsors of the 'General Manager of the Year Award' category, for the second year running, which recognises inspirational managers who encourage their teams to deliver the very best standards of care in their homes. This year’s award, presented by Pete Griffiths, Senior Consultant, went to Debby Roose of Regency House in Ely, Cambridgeshire. Debby was overwhelmed at having won the award and was described as “…being the backbone of the home”. On Sunday 22nd October, Compass Associates will be taking part in the Great South Run 2017 entering a team of 10 runners into the Business Challenge for the 4th year in a row – our biggest team yet! The team will take on the gruelling 10 mile course through Portsmouth and Southsea taking in historic and modern landmarks including HMS Victory, Southsea Castle and the iconic Spinnaker Tower. This year, the team have chosen to raise money for local charity, Harbour Cancer Support. Harbour Cancer Support are an independent charity offering practical and emotional support to anyone affected by cancer across South East Hampshire. The service is completely free to users and they are totally reliant on donations. The centre is based in Gosport and has been running for 16 years, offering a safe haven for cancer patients, their families, carers and friends where they can receive much needed support throughout their cancer journey.